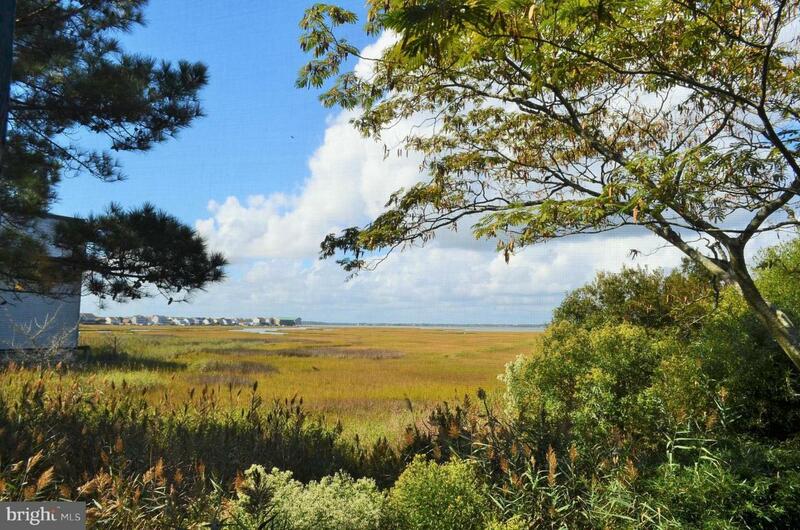 Picture yourself here -- favorite beverage in hand -- on the first level screened balcony overlooking the natural beauty of the wetlands and Assawoman Bay. 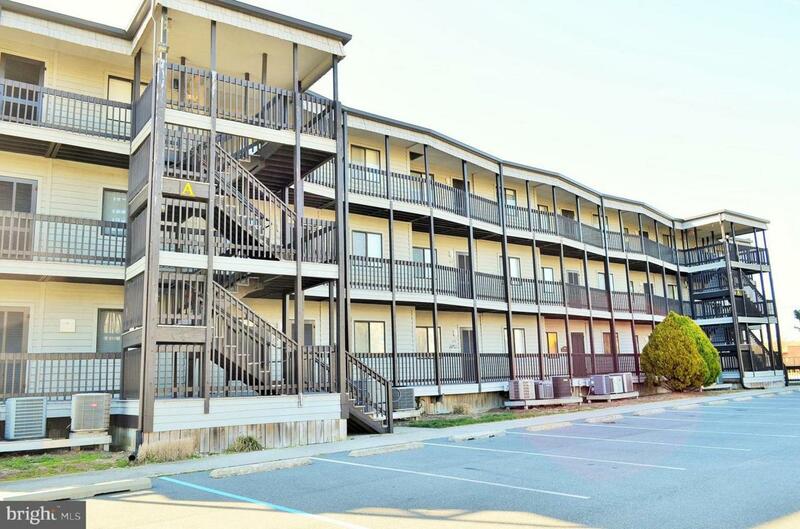 Bring your friends or family with you and enjoy the convenience of this private corner condominium in north Ocean City, MD. 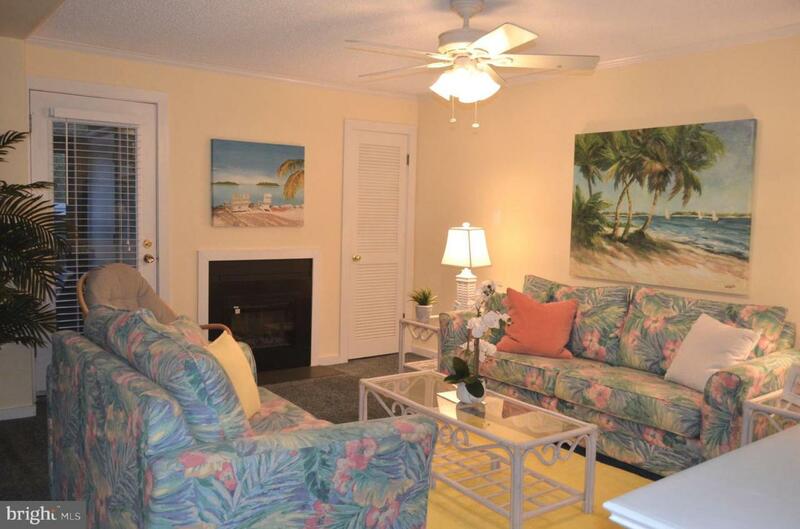 Two bedrooms, two full bathrooms plus open living room, kitchen and dining room. You can take a walk to the huge outdoor pool to catch a few rays and cool off. Or walk across the highway at the traffic signal to the beautiful sandy beach where you can listen to the waves or just jump in and get wet! For those cozy cooler evenings in the spring and autumn of the year, the owners installed an electric fireplace this past October. Exterior grounds are well maintained and coordinated by the on-premise manager. Yearly condominium fees are $3,846. Yearly City, County and State taxes are $2,544. Yearly wastewater is $427.80. Rentals through Coldwell Banker Vacations and owner. Gross Rental Income ranges from $9,685 to $14,979 yearly. This amount depends on owner and family reservations. Buyers to honor 2019 weekly rentals. 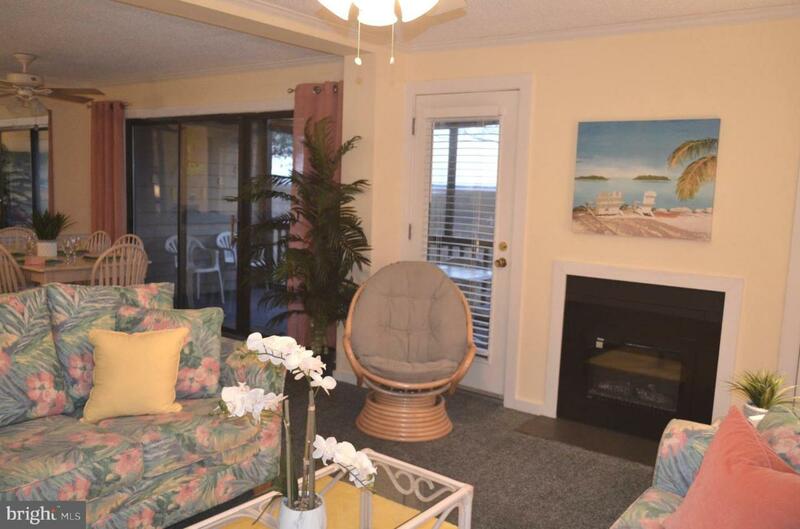 The small areal just off the screened porch is owned by the condominium association. Any questions contact the listing agent.